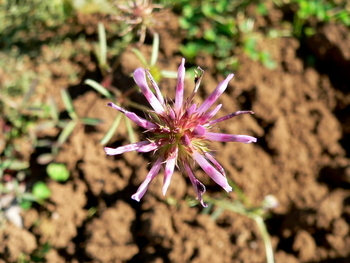 We carry a small selection of unusual perennials for the wholesale nursery trade and well as Oregon native wildflowers and grasses that can be contract grown. 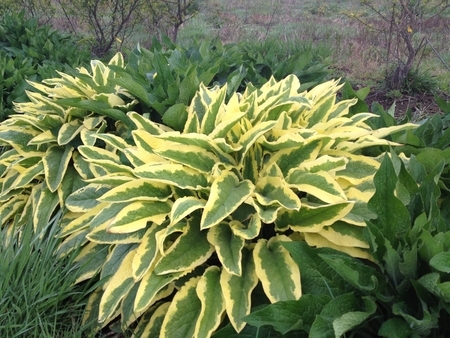 We believe these are great plants that should be in your nursery and ultimately your garden. Please browse our selection below and give us a call if you have any questions about a specific plant. To view our current availability please go to Wholesale Ordering. Use the filters on the left to check characteristics that fit your needs, or use the plant database search feature located on the top right of the screen to search by KEY WORDS (common name, variety, species etc.). To narrow your search, be as specific as possible with key words. Scurf-pea is native to many parts of the west. 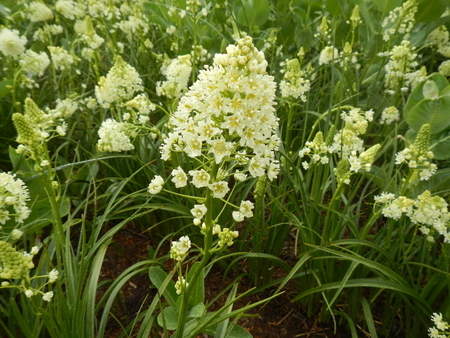 It is a low, bushy perennial with pretty clusters of cream colored pea-flowers. 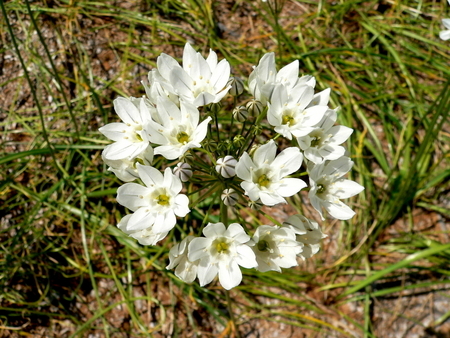 It has deep, woody roots (rhizomatous) and grows on dry edges of woods and in upland prairies where it flowers in late-spring and summer. The flowers are attractive to many of our native bumblebees. The dark-green, leathery foliage persists into late summer along with the papery bracts of the seed heads making it an attractive bedding plant for wildlife gardeners. IT'S A HUMMING BIRD PLANT! 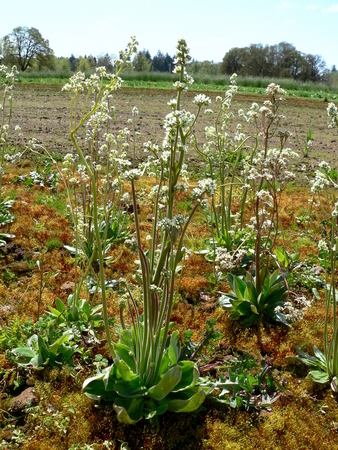 Oregon saxifrage grows in bogs, marshes, wet meadows and prairies throughout the west. 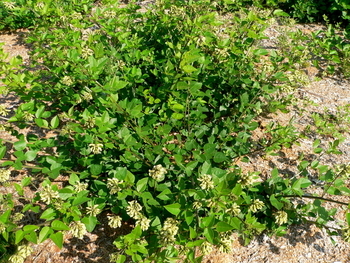 It has fleshy roots that divide by off-sets and flowers that bloom April-May. 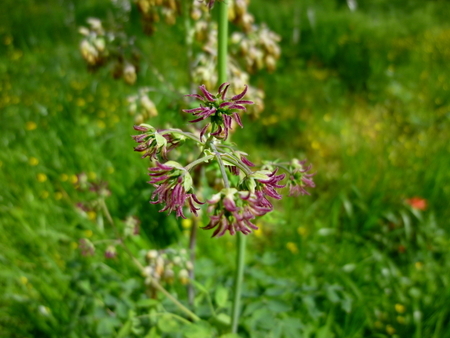 Nectar species for Mylitta Cresent Butterfly. 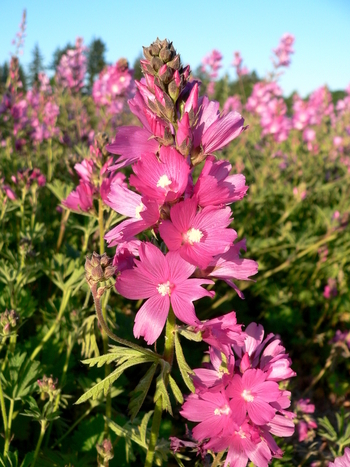 This checkermallow grows many upright stems to 4 ft. or more covered in showy white to pale pink flowers, May-June. When using in the garden, cut back after flowering to get more flowers. Forms large robust clumps and is an easy perennial. It has proven a winner on restoration sites establishing quickly and persisting over the long-haul. It is found in both wet and dry prairies. 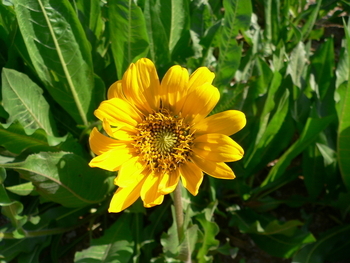 There are both early (May) and later (June-July) blooming forms of which we carry both. 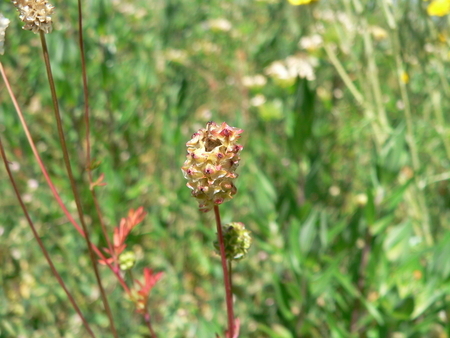 Host plant for Gray Hairstreak and nectar for: Fenders Blue, Taylor's Checkerspot, and Checkered Skipper. Like a miniature hollyhock with vibrant pink flowers, in a garden, this checkermallow works best near the front of a border as its only 2 ft. tall. Blooming May-June, cut it back and irrigate to get more flowers. 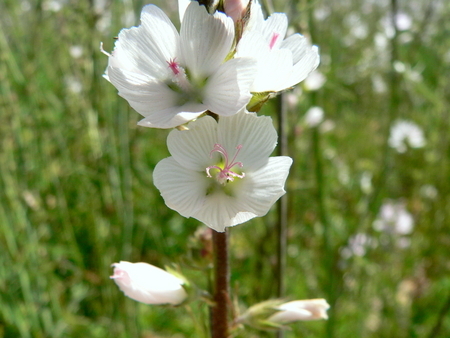 As with tall checkermallow, it shines on upland restoration sites. Establishing quickly and persisting over the long-haul. Hose plant for Checkered Skippers and Gray Hairstreak and key nectar species for Fenders Blue and Taylor's Checkerspot butterflies. 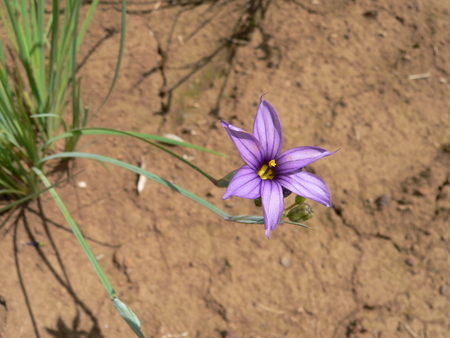 Blue-eyed grass is a key component of our wet prairies. The deep-blue flowers attract bees early in the day but close by mid-morning making them hard to spot in the landscape. The dark, clustered seed heads and slender, iris-like leaves make it reappear when the prairie turns a golden-tan in mid-summer. 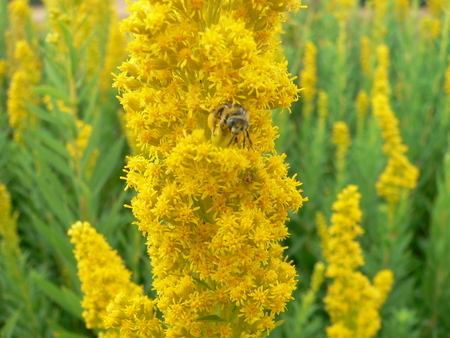 For both wildlife gardens and restorations, Western goldenroad provides late-summer sprays of yellow flowers with soft foliage that are important resources for butterflies and bees. 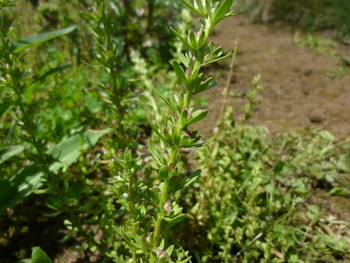 It is rhizomatous often forming colonies so makes a good bedding plant (rhizomatous), 2-3 ft tall. Provides nectar for Black Hairstreak butterflies along willow riparian areas. Hall's aster is a hardy perennial that spreads by rhizomes with numerous small, white to pale-pink asters blooming late in the summer. A key plant for restoration sites as late-season pollinator resource. A butterfly magnet! A plant of real distinction with large leaves boldly edged in vibrant yellow. Robust to 3 ft. in flower, it will enliven any area where it grows. Easy and very fast in spring - a great attention grabbing garden center flip. This early blooming species has delicate blue flowers nestled in tufts of dark green leaves. In a wildlife garden, the long-bloom period makes it a great bedding plant. Hookedspur violet is a used a both a nectar and larval host for a variety of butterflies. 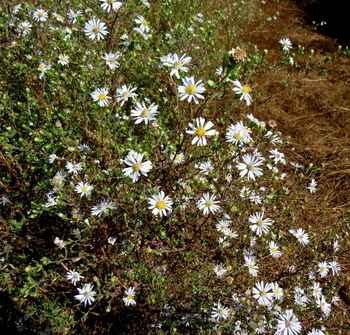 It does best on upland restoration sites where competition from invasive plants and grassy thatch are kept to a minimum. 4-8 inches tall. 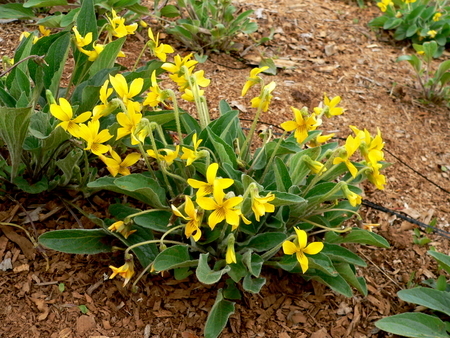 This early-blooming species has deep yellow flowers and soft, fuzzy leaves. 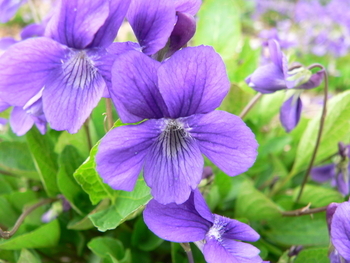 In a wildlife garden, the long-bloom period makes it a great bedding plant. It grows in moist to dry open woodlands and prairie where it attracts a variety of early pollinators. It does best on upland restoration sites where competition from invasive plants and grassy thatch are kept to a minimum. 8-10 inches tall.